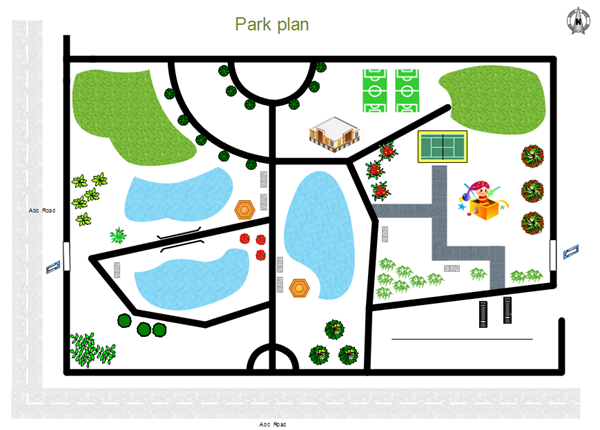 Have you tried easy 2D architecture design software to make floor plans? Come and act now to free download an easy 2D architecture design tool. Easy 2D architecture design software that is user-friendly. Even first time designers and architects can easily maximize this software's potentials. Edraw is the best choice when you are working on residential and commercial designs. This 2D architectural drafting software is easy to use software that you can use for all your designing needs. Easy 2D architecture design software make it easier for designers to make high quality designs that are accurate. Drawing architecture design has never been easier with the help of this easy 2D architecture design software. Edraw includes many built-in floor plan symbols and templates which will greatly facilitate your drawing of architecture layouts. Free download this amazing software to start your own architecture design. Click here to free download easy 2D architecture design software. 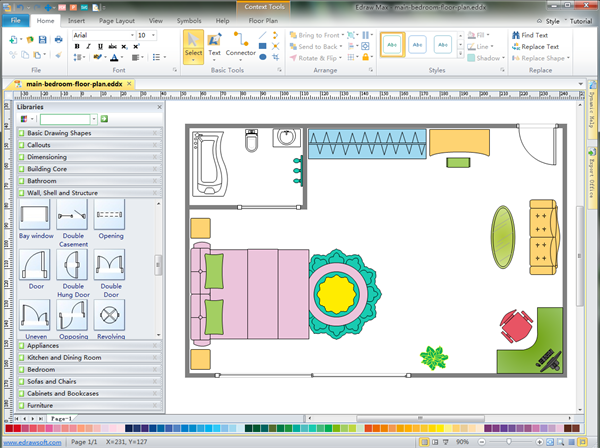 Then you can use the built-in floor plan symbols and templates to create and present your floor plan at once. Smart tools for automatic formatting. Nice-looking themes with advanced effects. Supporting BMP, JPEG, EMF, WMF, PDF, SVG, HTML, Word, PPT, Powerpoint and much more format. A group of vector, built-in architectural design symbols for instant use. Just drag and drop them to finish your design quickly. All symbols are editable and sharable with dynamic scale. Here are some examples. More can be found through this link Floor Plan Symbols. The following pictures are architecture design templates drawn via our 2D architect software. These templates are availble to edit, so if you are time-crunched, you may simply make them your own with simply just a few clicks. 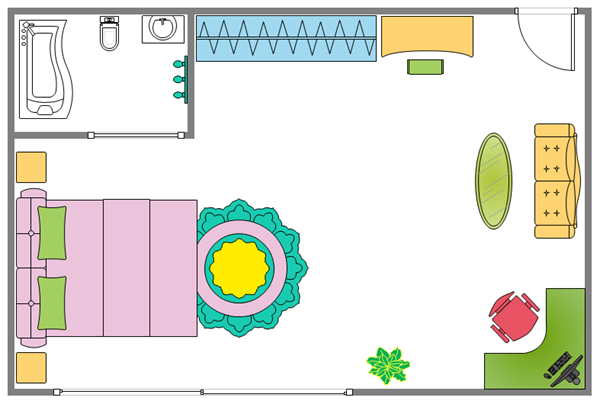 To download the above bedroom layout example, just click the picture then it will jump to the free download page. Click the picture to go to the free download page.